The only thing better than a chocolate advent calendar (Malteser this year, thanks for asking) is an advent competition. Normally I find it really annoying seeing my Facebook and Twitter timelines spammed with comp entries, but for some reason when it's in the lead up to Christmas I don't mind as much. 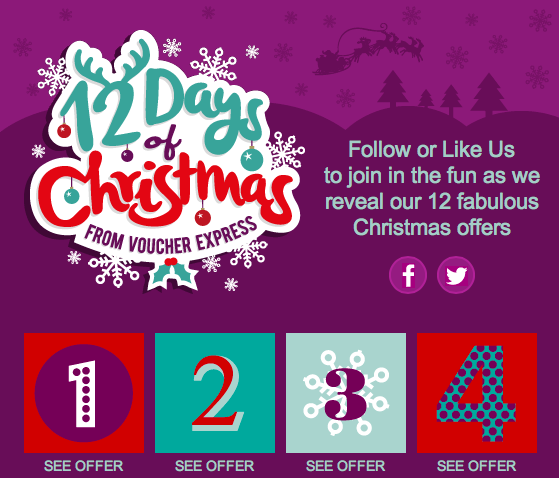 I particularly enjoy advent calendar style competitions that have become really popular in the last few years, with brands giving away prizes every day in December. It's like lots of potential wee Christmas presents up for grabs everywhere you look! I've tried to seek out the best of the best competitions out there and have listed them below so you can go and enter. There's a mix of beauty, fashion, travel and food comps, so something for everyone. Best of luck to you all! Although I mostly want to win them all myself…. Competition runs until the 12th of December with prizes including Green & Blacks chocolate (day 1) and Pizza Express vouchers (day 6). 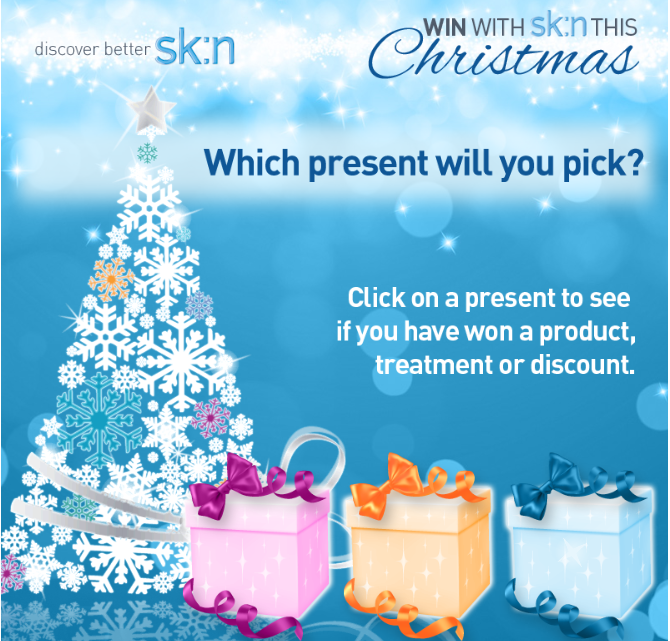 A Facebook game where you click on one of three presents and see if you've won a sk:n product, treatment, or a discount. You can go back every day to try again, so if you don't win the first time you've got more chances later in the month. Rocco Forte Hotels are giving away weekend breaks at each of their ten 5 star hotels - so that includes The Balmoral in Edinburgh, Hotel De Russie in Rome, Browns in London, and Astoria in St Petersburg. The prize changes every 48 hours, so make sure you go back to see which hotel is being showcased that day. New Look are giving away prizes every day on Twitter with a mix of fashion and beauty bits up for grabs. They gave away a unicorn clutch bag(!) on day 6 which is one of those things that I'm pretty sure I'd never buy for myself but now that I know it exists I kinda really want it, haha. With 5 winners every day this is probably one of those competitions you're more likely to actually win - although you need to answer a Bourjois related question so you might need to do a wee bit of Googling first. If you're a Bourjois makeup fan then definitely check this one out. 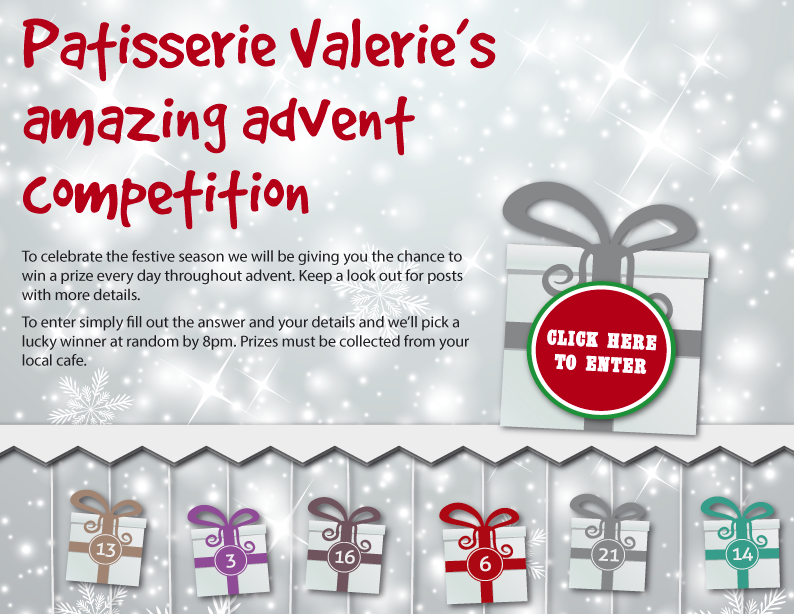 Another beauty related competition, with Glossybox giving away prizes from various brands in the run up to Christmas. As a big fan of the Philip Kingsley Elasticizer I was excited to see that the brand is running an advent competition with products and discounts up for grabs. Will be keeping my fingers crossed for a win, as my poor damaged hair is crying out for some help! 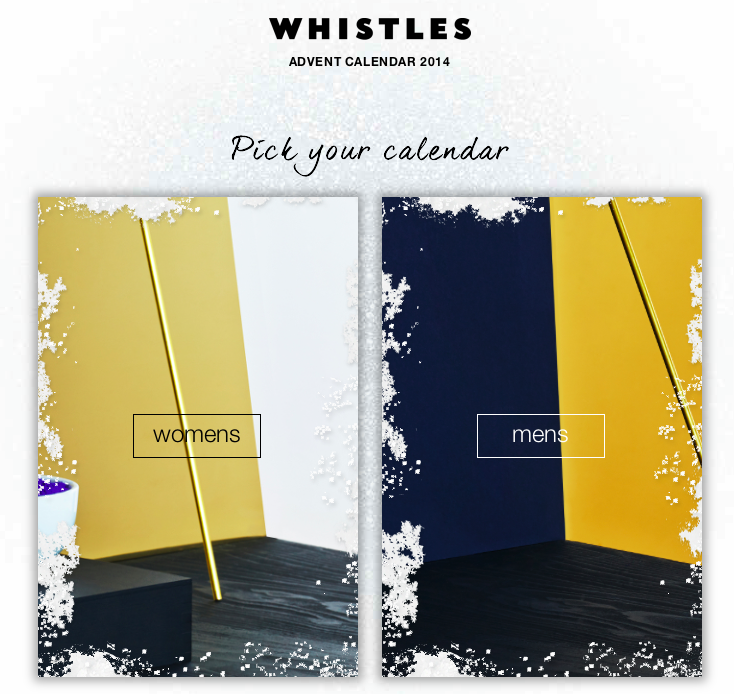 "Scratch" away the door on the womens or mens Whistles advent calendar to find out the daily prize - the day I checked they were giving away a trolley dash in their flagship store - imagine! 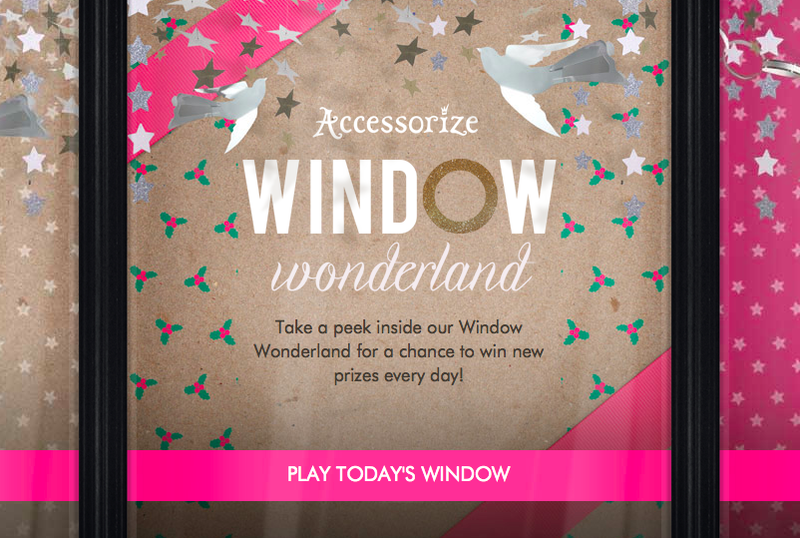 Another Facebook game based competition where you can win jewellery, bags, and accessories from high street fave Accessorize. 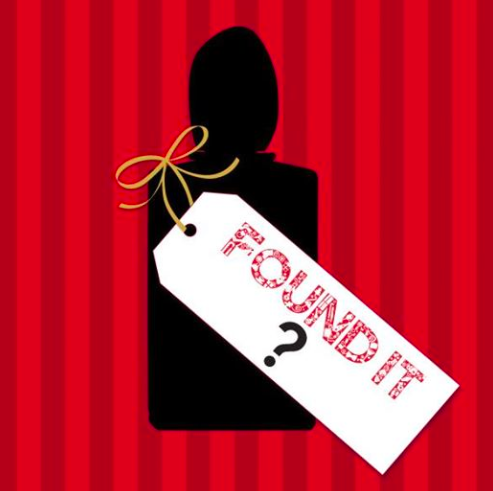 Guess the prizes on their Facebook page each day for your chance to win products from the Debenhams beauty hall. As this is one that requires a bit of research/guess work the number of entries will be lower so your chances of winning are that little bit better. 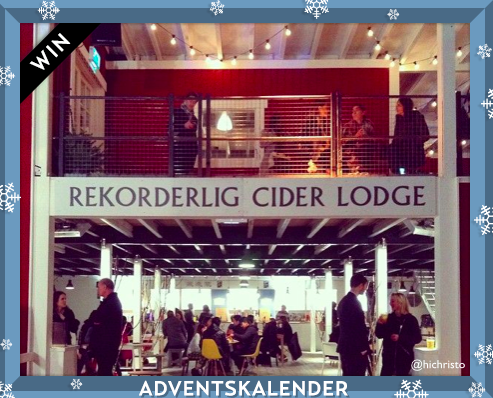 Ahh my favourite fruit cider….Rekorderlig are giving away prizes every day on their Facebook page, as well as sharing things like festive cocktail recipes. Even just writing the words Patisserie Valerie is making my mouth water at the thought of their cakes and pastries. Needless to say I'll be entering their Facebook giveaways every day in the hope of winning a treat box. Let me know if you spot any other good competitions!